Support mechanism for filling key knowledge gaps for vulnerable species (marine mammals, seabirds, sea turtles and elasmobranchs) impacted by fisheries in selected areas of the Mediterranean. The Project will last from the beginning of 2018 until the end of 2020. During that period, the project will run the previous activities in collaboration between the partners and through a Steering Committee which is supervising the running and success of the project. Due to their important and higher priority in the Mediterranean, the scope of this project will cover three main geographies impacted by fisheries. These areas where highlighted in the Output Action Plan 4 of the MAVA Foundation, (for more information on this, please refer to the main document at This link) and they are; the Alboran Sea, the strait of Sicily/Tunisia, central Aegean/Cyprus Basin. The impact of fisheries on non-target, highly mobile species, including marine mammals, sea birds, sea turtles and elasmobranch fish species, are known to include both ecosystem impacts (e.g. removal of prey, degradation of habitat) and direct interactions (mortality, disturbance, and human conflicts) and one of the important concerns on the global scale. In our rather-sensitive Mediterranean Sea, bycatch (the incidental capture of non-target/non-commercial species) is a key conservation issue and it particularly affects marine mammals, seabirds, sea turtles and the elasmobranchs. These animals usually follow a slow-growing, slow breading life cycles which makes them very susceptive to changes in their population number or structure. The other issue is that the Information on the movement, distribution, population and demography of some of these vulnerable species is rather patchy, fragmented or out-of-date which can have a drawback on taking any steps or conservation measures when necessary. In order to tackle and understand the bycatch issue, it is imperative that 1) information is gathered on the fisheries operating within the Mediterranean, and 2) that the movements and hotspot areas of these vulnerable species are identified and known, and 3) to linkup and overly these two layers of information to understand the whole picture. 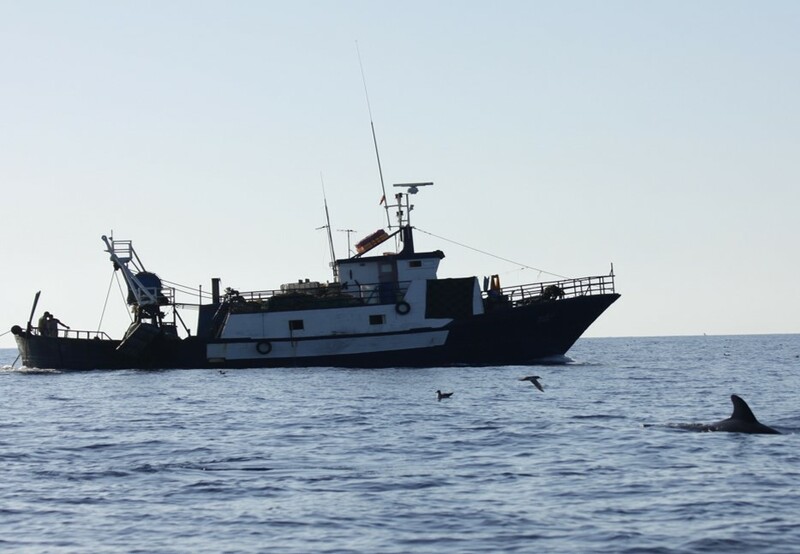 The Multi-taxa Bycatch Project (Understanding Mediterranean multi-taxa ‘bycatch’ of vulnerable species and testing mitigation- a collaborative approach) which was launched by the MAVA foundation in 2017 is mainly investigating points 1 of the previous argument. Therefore, SPA/RAC (as the coordinating party), the MAVA Foundation (as the funding party) and their Partners (ACCOBAMS, BirdLife International, IUCN and MEDASSET) has lunched this project to know more about these vulnerable species in the Mediterranean. The main aim of the Project is to ‘expand the state of knowledge on the vulnerable species’ distribution, range, migratory routes, habitat use’. The project will first compile the existing data sources on these species, carry out a gap analysis stage and acquire new data before identifying new important areas for biodiversity for each species (potential KBAs, IMMAs, IBAS, EBSAs, CCHs…etc.). This work will further complement the data and analysis being acquired through other MAVA funded projects related to bycatch in the Mediterranean. The compilation, synthesis and archiving of information on species movements and hotspots will be then linked to the information on fishing activities (use of different fishing gears, fishing effort, presence of fishing grounds and seasons) and will be used for the development of the Bycatch Strategy (2020-2030) in the other MAVA Multi-taxa Bycatch Project. It will also form the basis and guidelines for identifying future priority areas for bycatch data collection and mitigation work. financially supported by the MAVA Foundation.